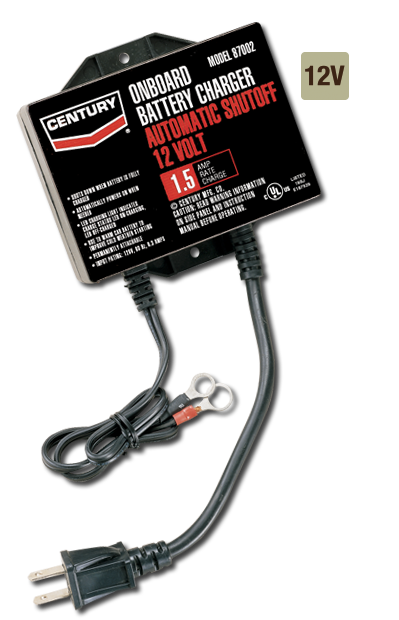 1.5 amp setting 12V battery charger. Automatically shuts off when battery is fully charged, resumes charging if battery becomes discharged. Can be permanently mounted on vehicle. LED light indicates charging status.